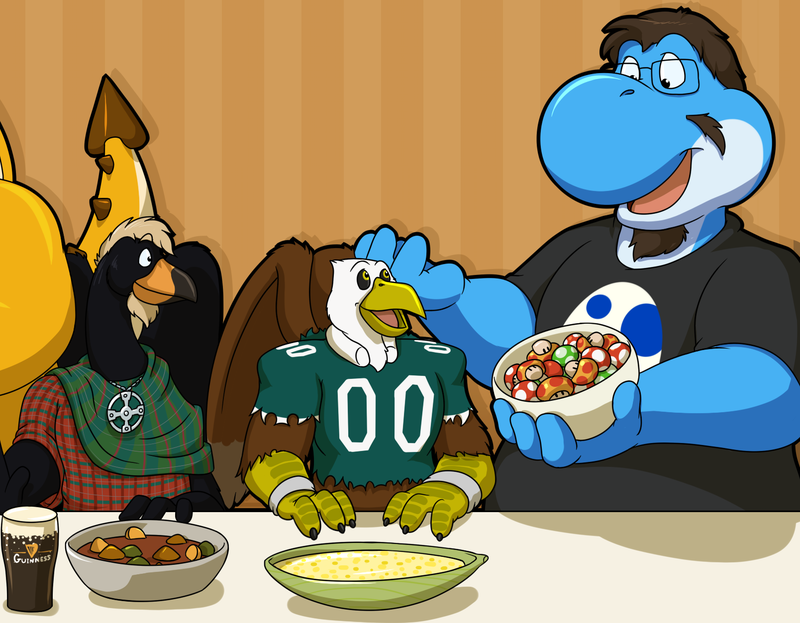 Here I am at Thanksgiving Dinner, sitting next to Ribrack and Pawpy! Between the three of us, we've got Guinness, Irish Stew, Creamed Corn, and Super Shrooms, not to mention everything else that was brought to the dinner! can be seen on FA.